The story begins in the distant future in the far reaches of the galaxy. The Human Galactic Alliance has been constantly fighting for its survival against a grotesque race of beings called “Hidiaazu.” During an intense battle, the young lieutenant Ledo and his humanoid mobile weapon Chamber are swallowed up into a distortion of time and space. Waking from his artificially induced hibernation, Ledo realizes that he has arrived on Earth, the planet on the lost frontier. On this planet that was completely flooded by the seas, people live in fleets of giant ships, salvaging relics from the seas’ depths in order to survive. Ledo arrives on one of the fleets called Gargantia. 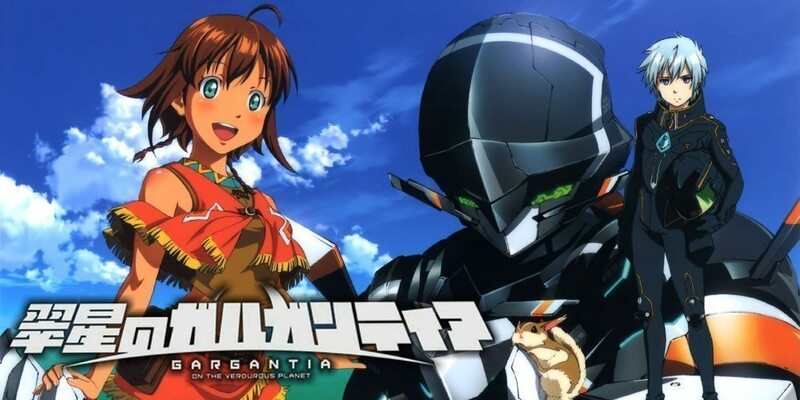 With no knowledge of the planet’s history or culture, he is forced to live alongside Amy, a 15-year-old girl who serves as a messenger aboard the Gargantia fleet. To Ledo, who has lived a life where he knows nothing but fighting, these days of peace continue to surprise him.